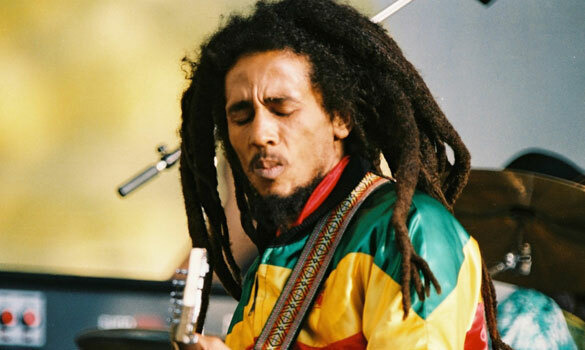 Bob Marley died of cancer in 1981 leaving an estate worth nearly US$30 million. Marley did not make a Will as his Rastafarian faith prohibited him from doing so. When he died, he left a wife and 9 children from different women. Under Jamaican intestacy laws, Rita as Marley’s wife inherited only 10% of his estate and had use of another 45% during her lifetime. Having only a small share of Marley’s estate under intestacy laws, Rita colluded with Marley’s accountant and lawyer to forge documents which were predated before Marley’s death to transfer control of Marley’s corporations and royalties to herself. This was discovered and the Court removed Rita as administrator of Marley’s estate. During the past 35 years, Marley’s estate has been beset with law suits including legal action by his wife and children against Marley’s brother as they sought control of the commercial use of Marley’s name, image and lyrics. The lack of estate planning and a will meant that Marley did not make proper provision for his family members and the management of his affairs leaving his estate subject to long and expensive family conflicts. Like Bob Marley’s estate, without estate planning and a Will, a deceased estate may be shrouded in conflict and may take years to resolve. More importantly, the obligations of the deceased to provide for certain loved ones may not be met as intestacy laws will determine the beneficiaries and their respective shares. Therefore, to ensure certainty in a time of grief, it is important that the intended administrators act expeditiously and properly to ensure the smooth and proper management of the deceased estate. My mother has passed away without a Will. Who is responsible to deal with her estate and distribute the assets to her beneficiaries? Who are the beneficiaries and what share will each get? A person may die with or without a will. When a person dies without a Will, the deceased is said to have died “intestacy” and the beneficiaries are determined by law. Generally, only someone who is entitled to all or a share of the estate is entitled to apply to the Court for a “grant of letters of administration”. The purpose of this application is to prove to the Court that the person applying is the most appropriate person to be appointed the “administrator” of the deceased estate. When the letters of administration are issued, the assets of the deceased are vested in the administrator. It is evidence of the administrator’s authority to deal with the estate. To protect the deceased estate from improper dealing, many entities such as banks, share registries and the land registry require sight of the letters of administration to release or transfer the deceased’s assets to the administrator for distribution to the beneficiaries. if the remainder of the estate exceeds $6,000.00, the parents take the first $6,000.00 absolutely plus the balance one-quarter in equal shares. The siblings (and the children of the deceased siblings) take the remaining one-quarter share of the estate. Where the net value of the deceased estate does not exceed $6,000.00, the parents shall be entitled in equal shares. Where the net value of the deceased estate exceeds $6,000.00, the parents shall be entitled to the first $6,000.00 in equal shares and one-half of the remaining balance. The siblings will be entitled to the remaining balance of the estate in equal shares. The children of predeceasing siblings will take their parent share in equal shares. For full details of the entitlements on intestacy, see Section 14 of the Administration Act 1903 (WA). It is also important to note that if the deceased and the spouse were not married but in a de facto relationship, then the de facto partner must have lived with the deceased for at least 2 years immediately before the death of the intestate in order for the de facto partner to be entitled to the estate of the deceased in accordance with the entitlements to which a married husband or wife is entitled under the Administration Act 1903 (WA). The first step is to search for a Will of the deceased as the Court will not issue a grant of letters of administration unless the intended administrator shows that a thorough search had been carried out but no Will had been found. Make enquiries with family members and with the deceased’s lawyers or accountants to find out if a Will exists. Go through the deceased’s personal effects, open any safe deposit box which the deceased may have held, check whether the deceased had lodged a Will with the WA Will Bank managed by the Public Trustee and enquire with the deceased’s bank as the bank may be holding important documents for the deceased. When carrying out the searches, bear in mind that that any document although unsigned or not witnessed but which sets out the intention of the deceased relating to the distribution of assets upon death may be recognised by the Court as an informal Will. When so recognised, the assets of the deceased will be distributed in accordance with the informal Will. The next step is to determine the entitlements under intestacy and who is the most appropriate person to apply for the letters of administration. In this regard, the entitlements under section 14 of the Administration Act 1903 (WA) should be carefully reviewed. Generally speaking, all who are entitled to share in the estate of the deceased are entitled to apply for letters of administration. If only one or some of these persons entitled to share in the estate apply, then those not applying would be required to execute a document for lodgement in the Court consenting to the persons applying being administrators of the estate. In cases where consents cannot be obtained, the Court may require the intended administrator to provide a bond to cover the share of the estate of those beneficiaries that have not provided the consent. An order for a bond to be provided is likely where the beneficiaries are minors. If all that the deceased left behind was real estate held jointly with another person as “joint tenants” recorded in the certificate of title, the interest of the deceased will pass on to the surviving joint tenant without requiring probate to be issued. In this case, the interest of the deceased in the real estate falls outside the scope of the entitlements under intestacy. Here, all that is required is an application to the land registry for the title of the property to be transferred to the surviving joint tenant. This will also be the case if the deceased held monies in a bank account with a joint account holder. If the deceased only left a small estate, say not more than $20,000.00 in bank accounts, the bank may not require the production of a grant of letters of administration before releasing the monies to the beneficiaries. In this case, all that the bank may require is a certified copy of the death certificate and the Will and indemnities to be signed by the beneficiaries agreeing to indemnify the bank for any loss it may suffer as a result of the bank releasing the funds without a grant of letters of administration being issued. If an application for letters of administration is required, the intended administrator must consider the proper jurisdiction where the application for the grant should be made. For example, the Supreme Court of Western Australia has jurisdiction to grant letters of administration only if the deceased left behind assets located in the State of Western Australia. Hence, if the deceased only left behind real estate located in another state or territory in Australia, then an application for a grant of letters of administration should be lodged in the state or territory where the real estate is located and not in Western Australia. The intended administrator should then prepare the necessary Court documents, namely the Motion and the Affidavit in Support for lodgement in Court for the grant of letters of administration. The certified copy of the death certificate is also lodged with the Court at the same time. In the Affidavit in Support, the intended administrator must set out a statement of the assets and liabilities of the deceased and their respective values. After lodgement of the application with the Court, the intended administrator must respond to any requisitions or questions which the Court may have in relation to any aspect of the application. Before making an application for a grant of letters of administration, it would be prudent to obtain legal advice and/or to retain a lawyer to assist in making the application for the grant. There may also be times when after making the application, the intended administrator may require legal advice and assistance to respond to the requisitions issued by the Court.